Fall has arrived and I can't seem to get enough apples in any shape or form. I am always drawn to the look of a rustic tart because it doesn't have to look perfect, that's where the beauty comes in. Although, it looks like something you would find in a bakery. I like to mix up my apples and use a mixture of sweet and tart....Granny Smith, Macoun, Rome Beauty or Golden Delicious. I find Macintosh and Cortland get very mushy. This is a delicious recipe that's so easy and fast to make. In a large bowl, combine all filling ingredients and toss together. Place crust on a large cookie sheet covered with parchment paper. Lightly brush the crust with the egg wash, leaving a 2" border. Sprinkle a teaspoon of sugar on the crust. This will help prevent the crust from getting soggy. 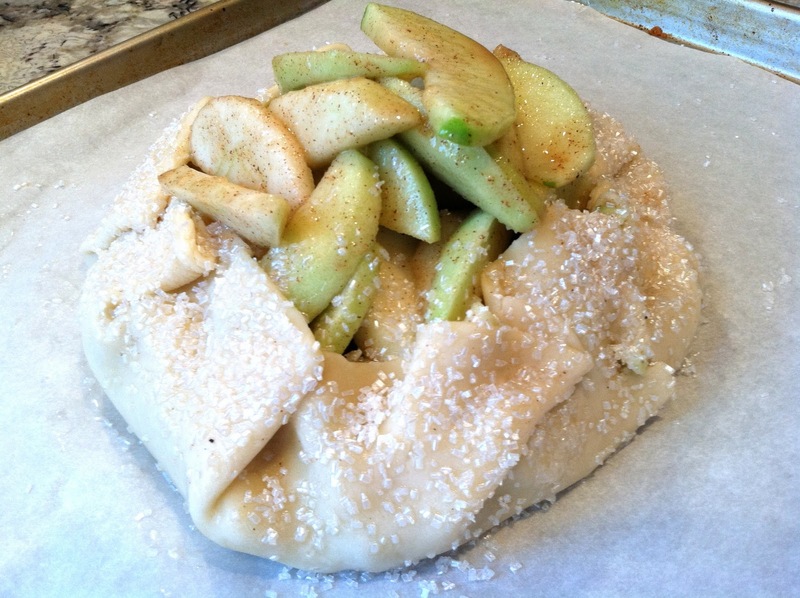 Pour the apples into the center of the crust and fold the edges up. Brush the edges with the egg wash and sprinkle with the sugar crystals. Bake for 25-30 minutes until the crust is golden. Let the tart cool before moving it to another platter. 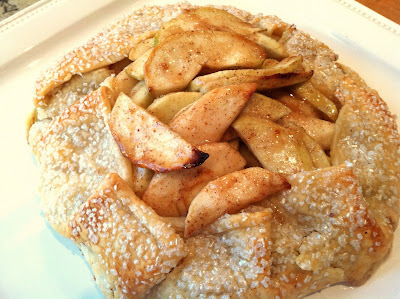 Hi Linda, I am new to your blog, everything looks delicious, especially this rustic apple tart. I have a bunch of apples that we picked at the orchard, I'll be sure to give this recipe a try. Thank you for sharing!